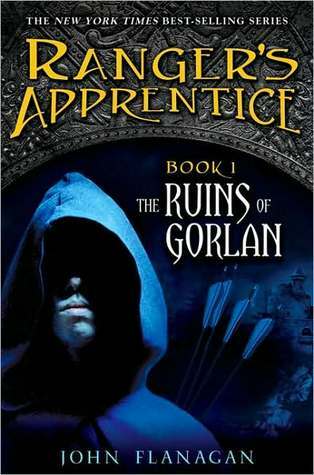 The exciting story The Rangers Apprentice: The Ruins of Gorlan by John Flanagan is an action packed book that portrays the medieval time period and has a well-crafted character development. From the first chapter, Flanagan introduces the reader to a castle that surrounds lands set in the medieval time time period. Will and Horace, the main characters of the story, are both fifteen years old boys whoare about to be assigned to a specific master craftsman on Choosing Day. This will determine their jobs for the rest of their lives, and they are both feeling nervous, yet excited. On that day, Horace is accepted to the Battle School, an academy where young cadets are trained to fight in the military, but Will is not. Later that night, Will climbs up the wall to the Baron’s study, the lord of the castle, and reads a note describing his fate as a ranger. The rangers are a group of people that act like the secret service for the whole land. The next day he begins training with a ranger named Halt, and learns many necessary skills. For instance, he learns how to ride a horse, shoot a bow, and move stealthily. Meanwhile, Horace is at Battle School and is going through extensive training that makes him so tired at the end of the day that he could fall asleep without dinner. After a couple months of training, Halt takes Will into the forest to receive his own horse named Tug. Tug is one of my favorite characters in the book and he is described as clever, shaggy, small, and likes to play games. Soon after Will meets tug Halt takes Will to the gathering were they learn of the banished lord Morgarath reactivating an army. With the untimely deaths of Northolt and Lord Lorric, who were important people in an old war with Morgarath. Morgarath had revenge plans for those that stood against him in the old war. In the coming war there would not be anyone to stand against him. The kingdom would be in ruins and no one would be able to lead them to a victory. In the book Flanagan describes everything implicitly well. He uses facts from the middle ages to create the setting of, castles, and characters. One fact that Flanagan describes is outside castle life and what apprentices did for their masters on an everyday basis. For example, he writes, “Right now it was late summer and the thick stone walls of the castle buildings served to keep the interiors cool. When the cold weather came, those same thick walls would retain the heat of the fire” (page 91). He also keeps to the weapons that they had in that time period. One of the parts of the of the book that make it interesting was that some of the animals had mythical aspects and this is major reason I would suggest it to my fellow students.